Want more ways to make your Instagram stories stand out? Have you explored the font tools in Instagram’s Type Mode? In this article, you’ll discover how to use Instagram’s Type Mode to edit the colors, backgrounds, and alignment of text in your stories. 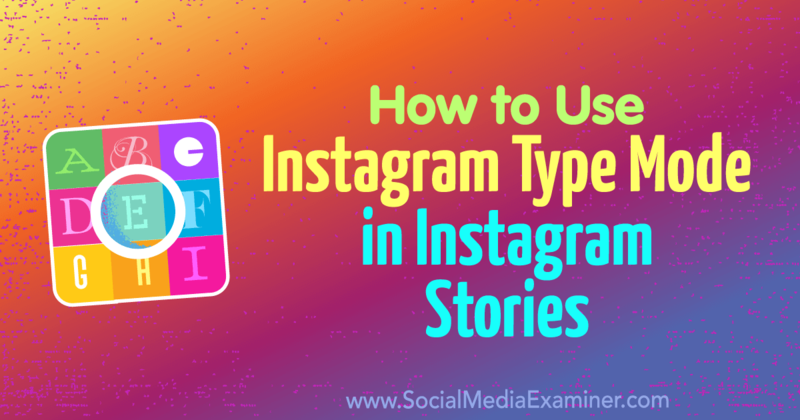 #1: Explore All 5 Font Styles In addition to the existing standard [...] This post How to Use Instagram Type Mode in Instagram Stories first appeared on Social Media Examiner.